Happy Sunday! I have been seeing the saying "Autumn is about to show us how lovely letting go can be." Letting go can be challenging. It is in our nature to want to hold on to familiar things and ways--they comfort us and can be easier than moving forward into new and unknown places. But, God is all about letting go of the old. He tells us over and over that He is making all things new for us and that He wants us to have a fresh start daily. 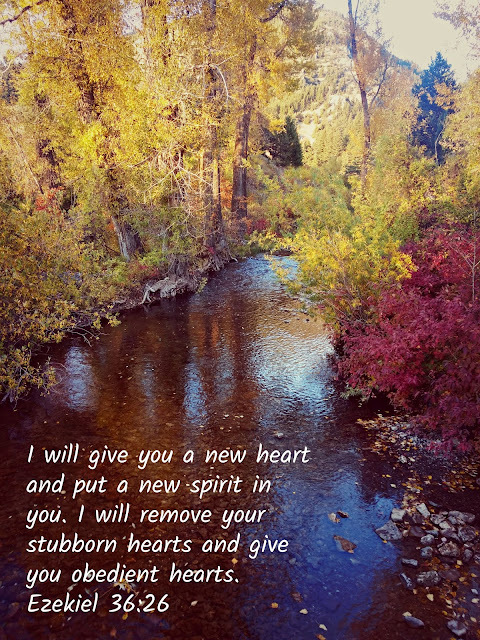 When we let go of the familiar and comfortable things in our lives and embrace and believe that the newness that God has for us is good, we can move forward in faith and with a fresh and positive spirit. Beautiful! Indeed, He does make all things new! That's why each season is so refreshing! Thank you for sharing this inspiring message from God's Word.